UNEXPECTED CAVE DWELLERS have contributed to the growing belief that bacterial resistance to antibiotics isn’t just a matter of humanity’s excessive use of the drugs; it’s hardwired into the genes of bacteria. 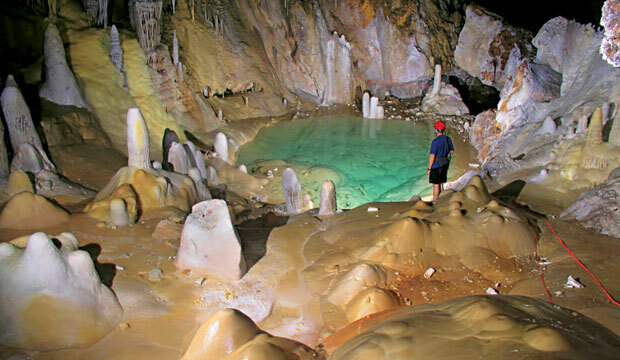 In Lechuguilla Cave in New Mexico, a team of researchers from McMaster University and the University of Akron has discovered 93 strains of antibiotic-resistant bacteria. Since 1984, explorers have mapped more than 120 miles of the cave, which had been sealed off for millions of years. Only a handful of researchers and cavers have entered the caverns, allowing the site to remain pristine. Given that bacteria create their own unique antibiotics, the diversity of the cave’s resistant bacteria (none of which is dangerous to humans) indicates that many undiscovered molecules with antibiotic properties exist in the environment.